If you have few days to visit Cusco and its natural, historical and archaeological attractions – we have a proposal for you to be able to explore the most important things about the city and region. So, what is this proposal? Well, in 4 days you can explore the most In 4 days you can explore the most outstanding attractions of the city of Cusco, the towns of the Sacred Valley and Machu Picchu, the jewel of the Inca Empire. 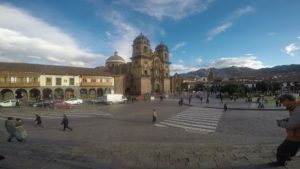 VIDEO: What to do in Cusco in 4 Days? You must take into account that Cusco is more than 3,300 m.a.s.l, which it is not advisable to go straight into intense trekking if you are not acclimatized, as you can suffer altitude sickness. For this reason, it is best to start your Cusco experience with a tour of the most important tourist attractions in the city itself. The second and third day provide good opportunities to explore jewels of the Sacred Valley. The 4 days on this proposed itinerary will be intense, during which the climatic conditions will surely change. In general, Cusco is a cold city with varying precipitations throughout the day. The best time to travel to this region is between April and September, since the period between October and March is the rainy season. During this time, many tours are suspended because of trails becoming flooded and impassable. In the Sacred Valley the climate is slightly different. The temperature fluctuates between 20°C and 25°C, while the landscape changes more drastically. Machu Picchu itself is located in a geographic zone called jungle eyebrow, so its climate is more tropical, which some isolated rains. These specifications are necessary to take into account what to pack: different clothes, sunscreen, mosquito repellent and appropriate footwear for the long walks. 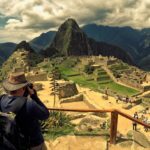 Here we provide all the details about how to see all the sites in and around Cusco (including Machu Picchu) in 4 days, and enjoy an unforgettable trip. This is the first tourist attraction that can be visited in Cusco, a gigantic construction located a few blocks from the Plaza de Armas. This used to be the sacred site where the Inca god, known as the Inti (Sun), was worshiped. For this reason, those who wished to enter could only do so barefoot and after fasting, as a sign of humility. These were the offerings made by the Inca high priest Willaq Umu. One of the valuable artefacts that can be found in the museum of Qorikancha, is the frontis, which was a majestic wall made from a fine quarry. To decorate it, a thin sheet of pure gold three meters high was used, with a fine straw roof that was delicately cut. In one of the blocks of the second row of stones, there are three holes that was used to drain the rainwater from the interior patio, as well as an outlet for the chicha that used for offerings. Apparently, if you hit inside the holes you can hear the musical notes “re”, “la” and “sol”, according to an experiment made by Augusto León Barandiarán. There are no certainties about why this impressive building was created or when it was constructed. But according to anthropological researchers, it may have been from a period prior to the Inca empire (likely to have been during the time of the Ayamarcas). What was certain however, was that according to the Inca; Qorikancha was the religious, geographic and political center of Cusco. These four tourist attractions are within walking distance of each other, as well as from the Temple of the Sun. San Pedro is one of the most important markets of Cusco. Here you can buy all kinds of products: from fruits, vegetables and meats, to souvenirs, t-shirts and alpaca clothes. It also has a large dining hall where you can eat lunch at affordable prices. In San Pedro you can find absolutely everything. After a short walk through this market, the tour continues in the Plaza de Armas and the largest building in front of it: the Cathedral. This square is very beautiful and is always full of tourists. It is a perfect meeting place and is also a good spot to take the best photos of the historic center. Surrounding the square, and throughout the historical center, you will find many bars and cafes with balconies overlooking the street that offer a beautiful dining and panoramic experience. In the surroundings there are also numerous shops, squares and churches. Most of the streets are cobbled and almost all the buildings have small carved wooden balconies. During the night, the streets are lit with beautiful lanterns scattered around the corners of the city. These details are what make Cusco so beautiful. And what is even more beautiful is the San Blas neighbourhood, situated a few blocks from the heart of downtown. It is a neighbourhood characterized by bohemian bars and accommodations for travelers. 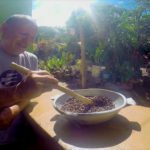 In San Blas, culture is truly breathed in every corner. All the artistic expressions take place in the street or in the pubs: there are musicians, painters and writers, and travelers who make their living practicing some artistic activity. There is also a very large handicraft market and numerous restaurants of all kinds and for all budgets in this sector. San Blas is a place to walk day and night as it is very safe too. There are 3 archeological sites and ruins that you can visit in the outskirts of Cusco: Sacsayhuamán, Q’enqo, Puca Pucara y Tambomachay. Its name in Quechua means “hawk satisfied” and it is located in the highest part of Cusco city. It was an Inca ceremonial center that was started by the government of Pachacuteq, in the fifteenth century, and finished by Huayna Cápac in the 16th century. This monumental work of megalithic walls is considered one of the most important during the height of the Inca Empire. From inside you can have striking views of surroundings, including the city of Cusco. Sacsayhuaman occupies more than 3,000 hectares and has a very striking design. It is said that the ninth Inca, Pachacuteq, was inspired by the design of the city in the shape of a puma, of which Sacsahuaman forms the head. The puma symbolizes strength and protection. Although the site was built with typical Inca architecture, the megalithic stones brought from the quarries are much larger. Most of the rocks reach a height of 9 meters and it is believed that 20,000 builders were needed to build this place. The precise reason for the site is not fully known. Some historians suppose that it was used to train warriors, while others believe that it served religious purposes. What is certain is that it served as a strong defense during the Spanish invasion. This impressive site is based only 6 kilometers from Cusco. It was used as a shrine during the time of the Incas and is located on what is now known as the Socorro hill, very close to Sacsayhuamán. It has an area of over 3,500 square meters. The true name of this archeological site is not known since the Spaniards changed the name to Q’enqo, meaning “labrynth” in Quechua, because of the shape of the constructions and channels that were in the surroundings. It is also unknown wherther it was used as an altar, a court, or a tomb; but apparently, it was the most important religious center for the Incas. In Quechua, Puca Pucara means “Red Fortress”. This military construction is also located very close to Cusco. Puca Pucara is a fortress built with large walls, terraces and stairways; and played a part of the defensive of Cusco and the Inca Empire in general. The name “Red Fortress” refers to the red color that rocks acquire during the twilight hour. Puca Pucara is another example of military architecture that also functioned as an administrative center, with platforms, overlapping terraces, stairways and passages. The last of the archaeological sites that can be visited in the vicinity of Cusco is Tambomachay or Tampumachay, which means “place of rest” in Quechua. This site was used to collect water, and also served as a place for the Inca army to rest. Tambomachay is only a 15-minute ride from Cusco, 7 kilometers away, in the Andean mountain range. It sits above Cusco at an altitude of 3,700 m.a.s.l. The building has a series of aqueducts, canals and several waterfalls that run along the rocks. A striking fact is that the Incas built a primary waterfall and two identical secondary ones. The accuracy is so precise that if a bottle of water were placed in each secondary waterfall, they would be filled at the same time. You can do the test. Here, there is also a royal garden whose irrigation comes from a complicated system of specially designed channels. It also functioned as a checkpoint for those arriving from Antisuyo. 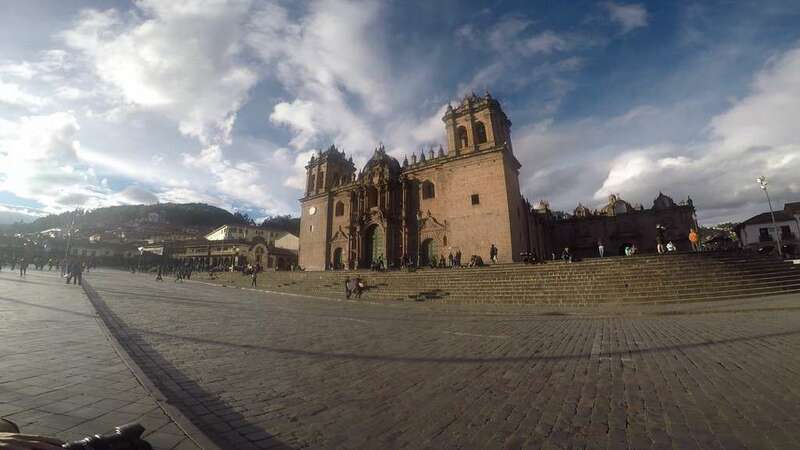 It will only take you a few hours to tour each of these impressive cultural and historical attractions in Cusco, with a city tour. We know that time is money, so here is the rest of our recommendation about how to make the most of your stay in this city. During the second and third day of travel during your stay in Cusco you will know the most important attractions of the Sacred Valley of the Incas. The first and one of the most important, is Pisac. It is located in a rocky enclave and was the control center of the valley. To get there you must walk along paths that border precipices and tunnels built in rock. We recommend that you go with appropriate footwear and focus, so you can appreciate the scenery on this complex route. Ollantaytambo is on the curb of the Patacancha River, near to where it intersects with the Urubamba River, more than 60 kilometers from Cusco. Its height is around 2,800 m.a.s.l. At the end of the third day (after touring all the attractions of the valley), your best option is to travel by train from Ollantaytambo to Aguascalientes, at the foot of the archaeological complex. After arriving in this small town you can rest and recharge your batteries for the next day’s journey. You can climb the archaeological complex by foot (in a tour that lasts almost 3 hours) or in a bus. And finally, have the once in a lifetime opportunity to enjoy its wonderful landscape. One of the most impressive architectural works in history, Machu Picchu is the most acclaimed tourist attraction for travelers who come from all over the world. If you are short on time, our tour of Cusco and Machu Picchu may be your best option to make the most of your stay in this beautiful part of Peru. After visitng Machu Picchu, your tour would have come to an end and you can return to Cusco. All you need to do now is assemble your backpack and get ready for an adventure full of adrenaline. It will surely be an unforgettable trip. Your invitation is ready!